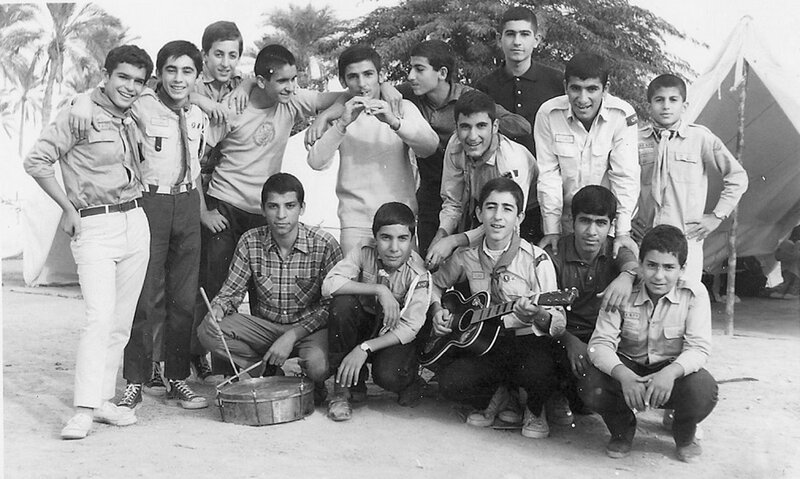 This article is the third installment in a three-part series on oil, nostalgia, and the southwestern Iranian city of Abadan.The first part in the series can be found here and the second part can be found here. You can support Elling’s Internet campaign to fund future research and publications on Abadan here. — ‘Abadan’, poem by Ardalan Sarfaraz. 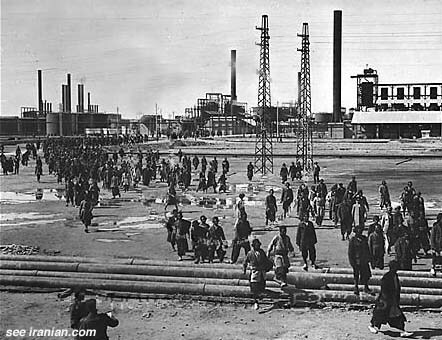 British soldiers marching at the Abadan Refinery during the invasion and occupation of Iran, 1941. Babr, an Iranian warship after being shelled by British forces in Aug. 1941. British Indian riflemen at the Abadan Refinery. The 1951 nationalization of oil is marked at Abadan Refinery. British oil workers are evacuated. 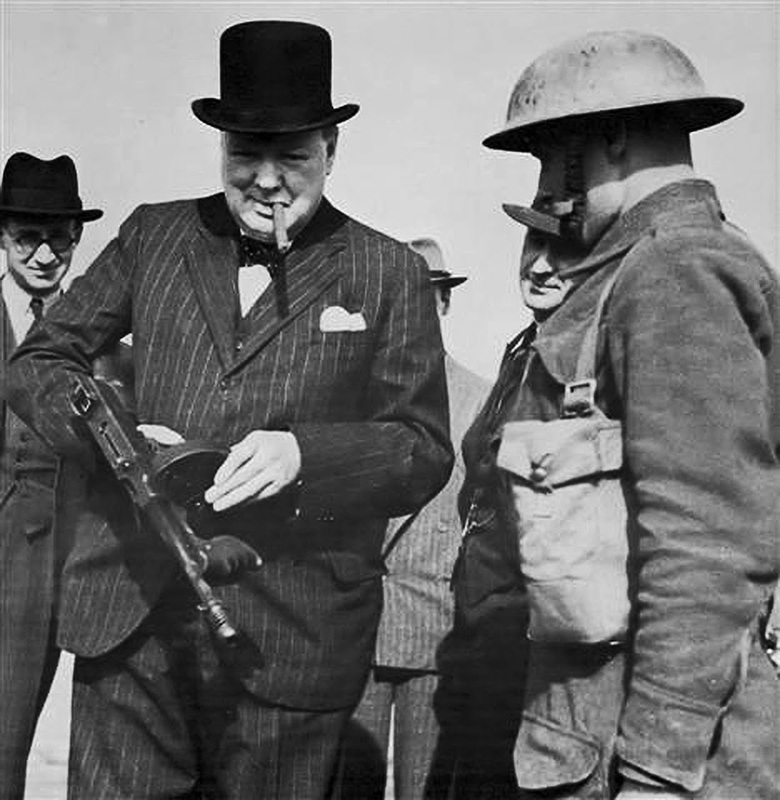 ”The Abadan Crisis” as portrayed on British television, 1951. 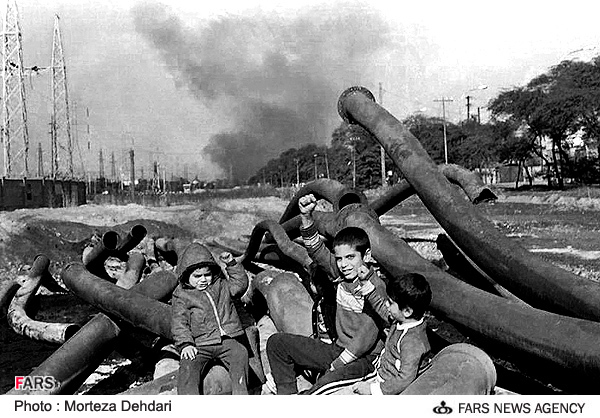 The Iran-Iraq War comes to Abadan, early 1980s. Excerpt from the Iranian documentary ”Abadan, Oppressed City” on wartime Abadan. Scouts on a trip to a dairy farm, probably 1960s. Abadan city life in the late 1950s captured by Charles Schroeder. See his collection of pictures here. 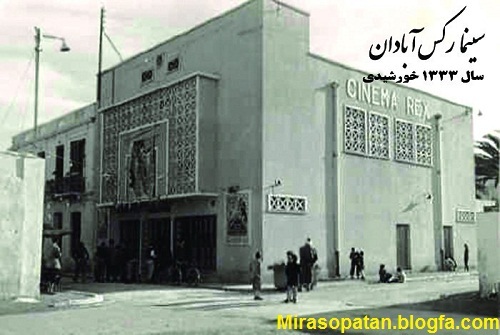 The Abadan of the Cinemas: Poster for the Company’s propaganda film Persian Story. Burial procession for the martyrs. 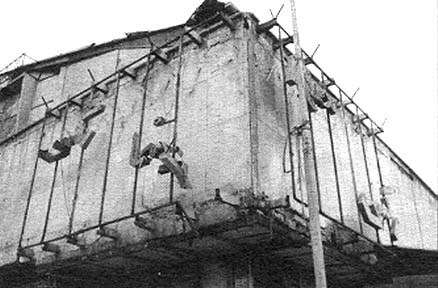 That fateful, sweltering hot night of August 19, 1978, when more than 500 Abadanis perished in a blaze, the film Gavazn-hâ (‘The Deer’) had drawn a sold-out show to Cinema Rex. Today, it still appears significant that it was exactly this film that was showing. Gavazn-hâ, a modern classic by Mas’ud Kimiai, tells the story of Qodrat, a bank robber on the run who takes refuge with his childhood friend, the junkie Seyyed, and his girlfriend who works in Tehran’s sleazy cabarets. With the help of Qodrat, Seyyed manages to quit his addiction, defend the honor of his girlfriend and resist his rivals. With its ruthless depiction of the downside of modernity, the film only barely slipped through censorship. 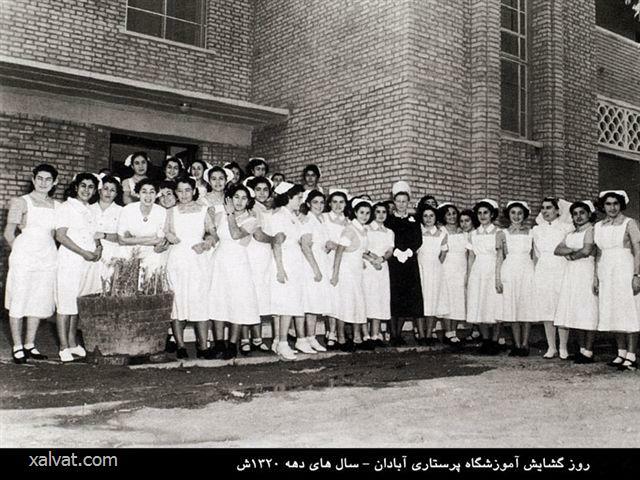 It was received as a critique of Iranian society under the Shah. The magnificent Behruz Vosughi in a scene from Gavazn-hâ. Clergymen — place and date unknown, but probably during the Iran-Iraq War in Khuzestan. Oil constitutes the dichotomies through which Abadani nostalgia reenacts history: its presence created order and discipline, its absence made society descend into chaos and disregard; oil endowed Abadan with prestige before it became a footnote in history; oil brought about cosmopolitanism, which has now been replaced by provincialism; oil gave healthcare, drinking water and agriculture, but also environmental degradation; oil generated electricity to lit up the streets of the world, but today cannot even secure Abadan itself; the magic power of oil fuelled imagination in spaces like the cinema, until those spaces burnt down, were bombed to pieces or simply closed and disappeared. Valizadeh, Iraj. 2010. Anglo vabangolodarâbâdân, Tehran: SimiaHonar. Alissa, Reem. 2013. 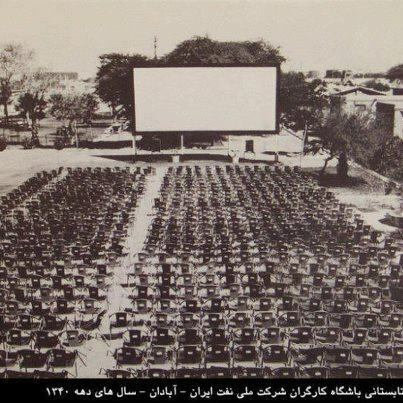 “The Oil Town of Ahmadi since 1946: From Colonial Town to Nostalgic City”. Comparative Studies of South Asia, Africa and the Middle East 2013: 33, pp. 41-58. Dinius, Oliver J. &Vergara, Angela 2011. Company Towns in the Americas: Landscape, Power and Working-Class Communities, University of Georgia Press. Ferguson, James 1999: Expectations of Modernity: Myths and Meanings of Urban Life on the Zambian Copperbelt, University of California Press. Fuccaro, Nelida 2013: “Shaping the Urban Life of Oil in Bahrain: Consumerism, Leisure, and Public Communication in Manama and in the Oil Camps, 1932-1960s”, Comparative Studies of South Asia, Africa and the Middle East 2013: 33, pp. 59-74. Bayat, Kaveh 2007: “With or Without Workers in Reza Shah’s Iran: Abadan, May 1929” inTourajAtabaki (Ed. ): The State and the Subaltern: Modernization, Society and the State in Turkey and Iran, I.B. Tauris. Crinson, Mark 1997: “Abadan: Planning and Architecture under the Anglo-Iranian Oil Company”,Planning Perspectives 1997:12, pp. 341-59. Cronin, Stephanie 2010: “Popular Politics, the New State and the Birth of the Iranian Working Class: the 1929 Abadan Oil Refinery Strike”,Middle Eastern Studies 2010: 46, pp. 699-732. Ehsani, Kaveh 2003: “Social Engineering and the Contradictions of Modernization in Khuzestan’s Company Towns: A Look at Abadan and Masjed-Soleyman”,International Review of Social History 2003: 48, s. 361-399. Ehsani, Kaveh 2014: The Social History of Labor in the Iranian Oil Industry, the Built Environment and the Making of the Industrial Working Class (1908-1941), doctoral dissertation, Leiden University. Elling, Rasmus Christian 2015: “On Lines and Fences: Labour, Community and Violence in an Oil City” in Ulrike Freitag, Nelida Fuccaro et al (Eds. ): Urban Violence in the Middle East: Changing Cityscapes in the Transition from Empire to Nation State, Berghahn Books (forthcoming, March 2015). Elling, Rasmus Christian 2015: “War of Clubs: Struggle for Space and the 1946 Oil Strike in Abadan” inNelida Fuccaro (Ed. ): Violence and the City in the Modern Middle East, Stanford University Press (forthcoming, ultimo 2015). Pirzad, Zoya 2013: Things We Left Unsaid,translated by F. D. Lewis, Oneworld Publications. Boym, Svetlana 2007: “Nostalgia and Its Discontents”,Hedgehog Review 2007: 9, pp. 7-18. Davis, Fred 1979: Yearning for Yesterday: A Sociology of Nostalgia, Free Press. Gross, David 2000: Lost Time: On Remembering and Forgetting in Late Modern Culture, University of Massachusetts Press. Coronil, Fernando 1997: The Magical State: Nature, Money, and Modernity in Venezuela, Chicago University Press. 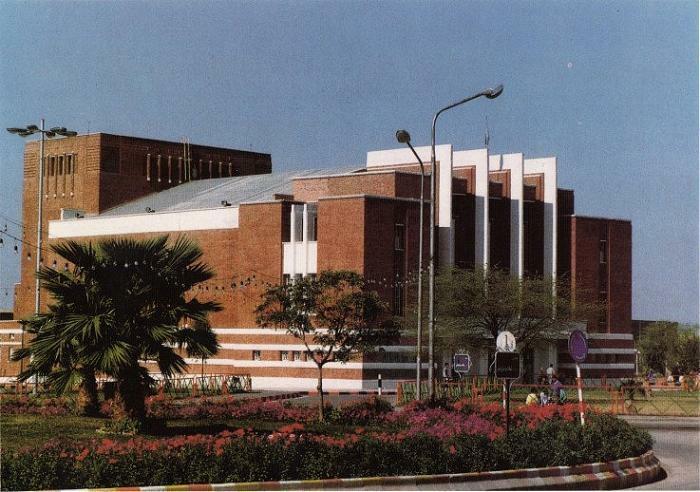 Damluji, Mona 2013: “The Oil City in Focus: The Cinematic Spaces of Abadan in the Anglo-Iranian Oil Company’s Persian Story”, Comparative Studies of South Asia, Africa and the Middle East 2013: 33, pp. 75-88. Davis, Eric &Gavrielides, Nicolas 1991: Statecraft in the Middle East: Oil, Historical Memory and Popular Culture, University Press of Florida. Limbert, Mandana 2010: In the Time of Oil: Piety, Memory, and Social Life in an Omani Town, Stanford University Press. 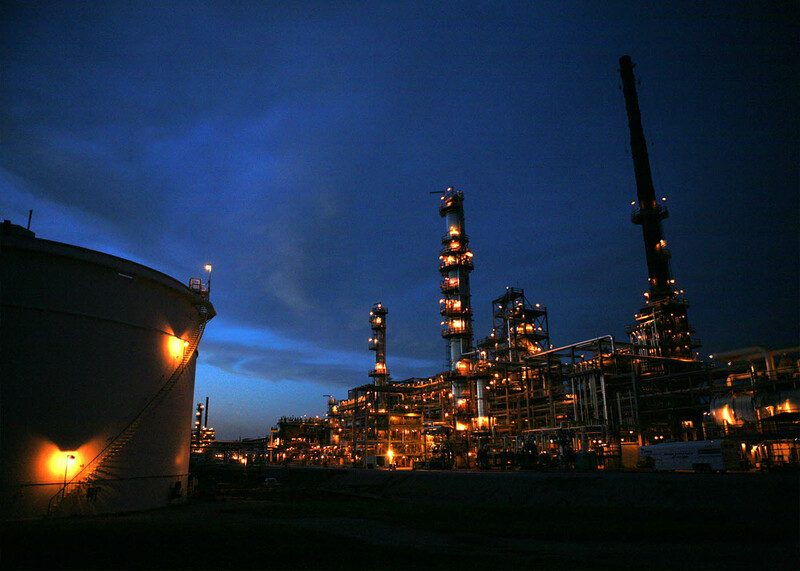 Mitchell, Timothy 2011: Carbon Democracy: Political Power in the Age of Oil, Verso. Salas, Miguel Tinker 2009: The Enduring Legacy: Oil, Culture and Society in Venezuela, Duke University Press. Vitalis, Robert 2007: America’s Kingdom: Mythmaking and the Saudi Oil Frontier, Stanford University Press. Watts, Michael 2001: “Petro-Violence: Community, Extraction and the Political Ecology of a Mythic Commodity” in Nancy Lee Peluso& Michael Watts (Eds. ): Violent Environments, Cornell University Press, pp. 189-212.